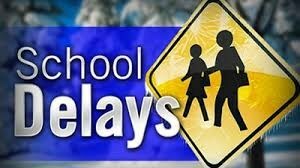 Wednesday-March 21 DCS will operate on a 3 Hour Delay | Due to the potential for hazardous travel conditions early in the morning, Davidson County Schools will operate on a 3 hour delay on Wednesday, March 21, 2018. Please visit the following link to DCS website for information concerning staff expectations when there is a delay. Due to the potential for hazardous travel conditions early in the morning, Davidson County Schools will operate on a 3 hour delay on Wednesday, March 21, 2018.